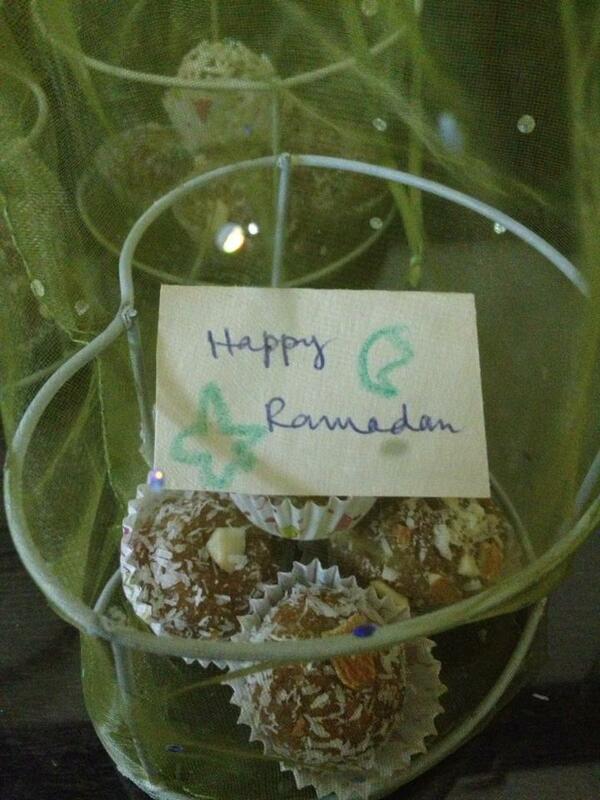 So the first activity on our Ramadan calendar was to make "Date Balls" for all the neighbors in the building. 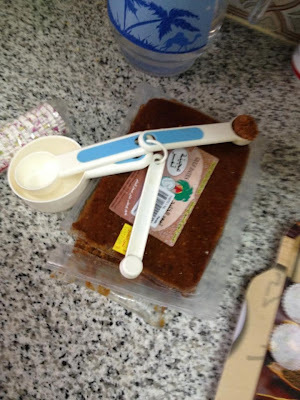 Date paste. (In Saudi these are easily available. 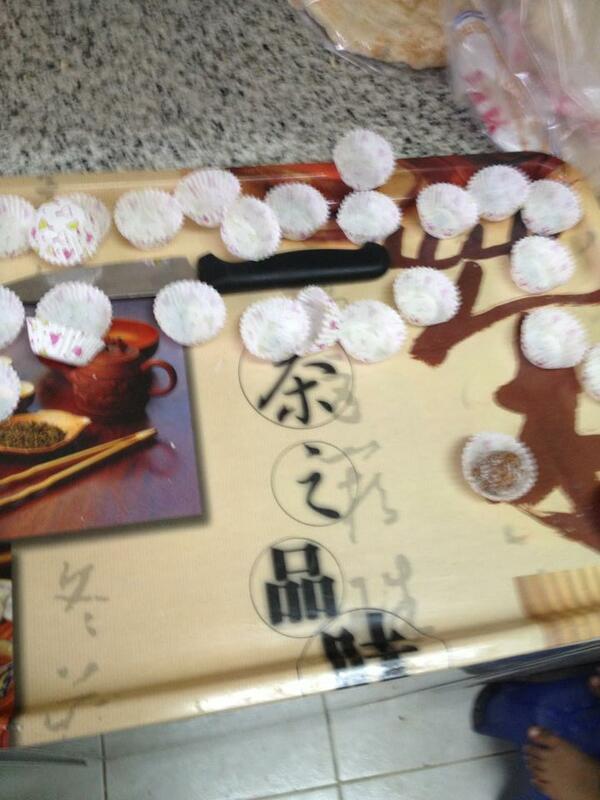 But if not available it can be easily made at home. Just take some soft dates and blitz them in a processor. 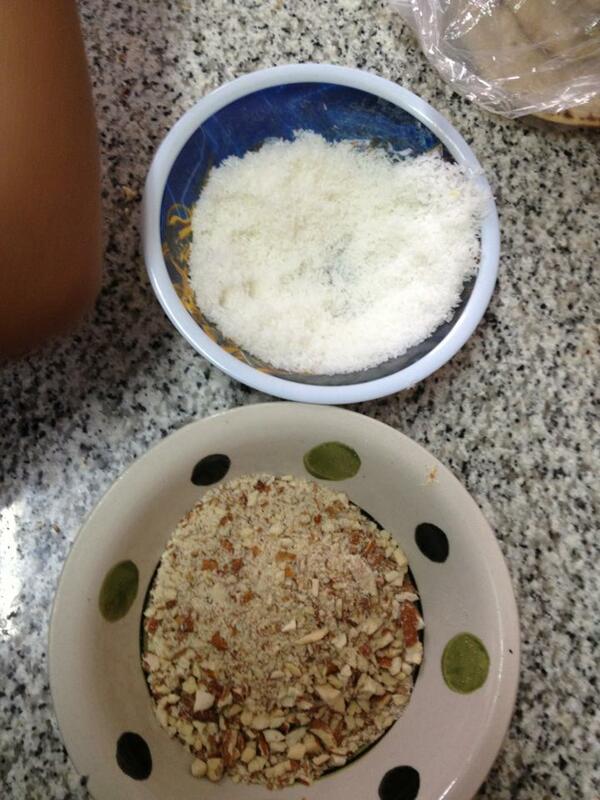 If they are too sticky try adding a little almond powder or coconut in it). So, the most part is getting the stuff, the rest is very easy. Just roll the dates into little balls. Roll them into your preferred coating. Set them in the liner and you are done. We bought some really pretty party favors holders from a 2 riyal shop. You can substitute little inexpensive plates for this as well. 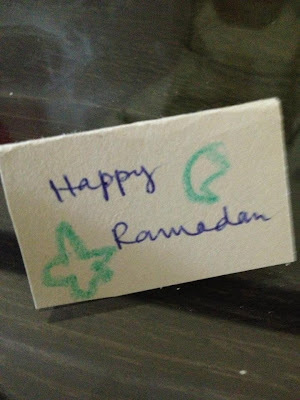 We made small cards to go along the dates which my son decorated. Just before Iftar my son took these in the building and distributed them. Languages: I tried to teach him the names of Dates, coconut, almond in Urdu, English and Arabic. Motor skills: He rolled the dates into balls, which might seems really easy to us but is not for many 5yrs old. 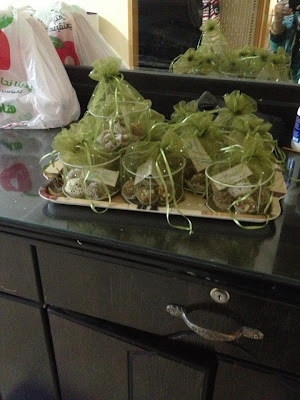 Social skills: Sending him in the building with something he made himself is my way to make him a bit confident and proud of his accomplishment. Please note that the activities mentioned are to teach kids about Ramadan, the Muslim culture and along side as many things that can be incorporated. But my main aim is to get him excited about learning. So the activities do not need to be perfect. 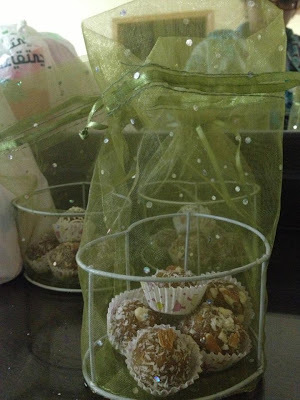 Remember these date balls might not come out a perfect sphere, but bite your urge to go along and make them look perfect. 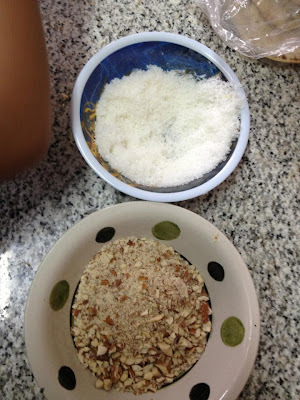 Kids will not want to do the whole thing, like we ended up making more than 50 date balls, my son does not have the patience or the concentration to be doing one task for so long, so after a few (15 to be exact), I made the date balls and he was rolling them into the coconut. Let them taste what they are making. Let them smell. Ask them questions about the activity they are doing. Like what else can be turned into balls? What kind of coating they would want to have? What else could be sent to the neighbors for another iftar? I hope you would enjoy doing such activity with your kids. We had a lot of fun. Please share your experience if you have done or plan to do something like that with your kids. We would love to hear and learn from you. LOVE it...so much so that i am going to try this today in sha allah.